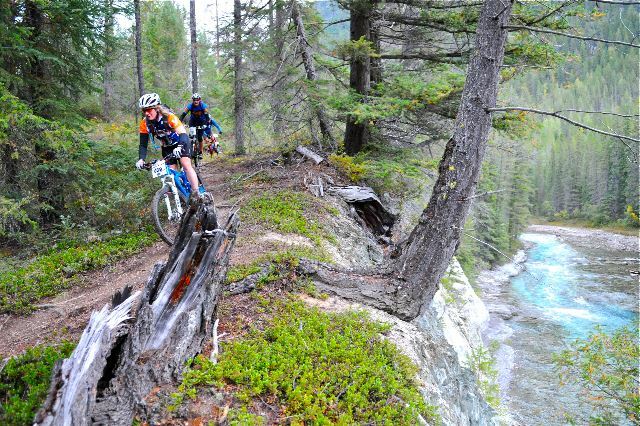 The Kootenay Krusher course is a 25 km loop that is predominantly single track. The course follows the beautiful Kootenay and Cross rivers. The 50 km event does two laps of the 25 km loop, while the 25 km does only one circuit. The 5 km, 3 km and 1.5 km loops incorporate some single track and stay very close to the Nipika Meadow area. The Kootenay Krusher courses will fallow the same course as the Crazy Soles trail run. *Team: Each member must complete one full lap of the 25km loop.